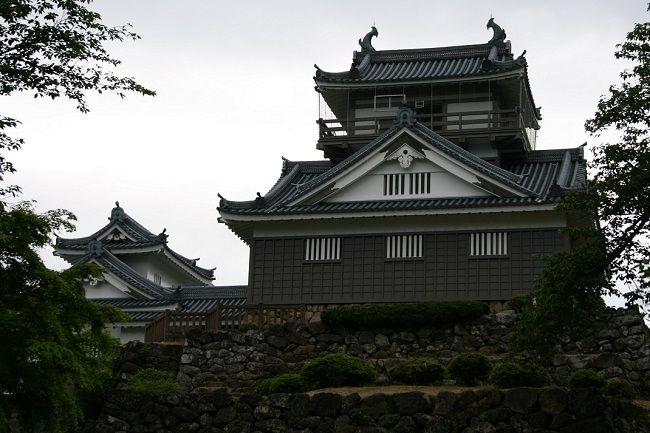 Build by Nobunaga’s vassal Kanamori Nagachika, Echizen Ono castle (Castle in the sky). 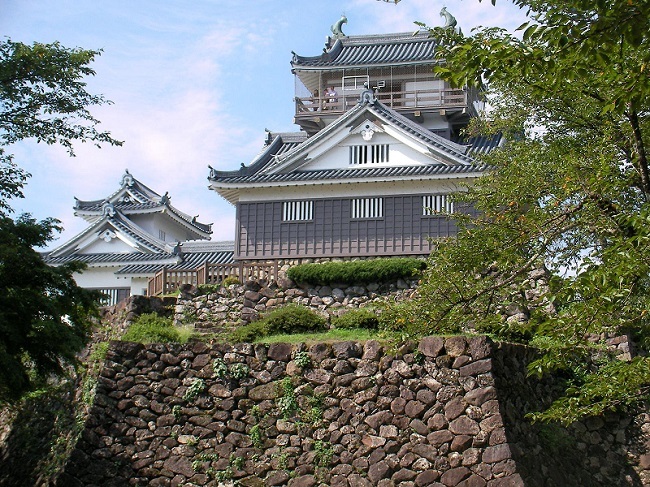 Echizen Ono Castle is a castle in Ohno City, Fukui Prefecture. 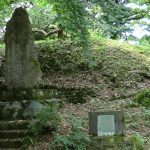 In Tensho 3rd Year (1575), Oda Nobunaga gave the 30,000 Jewels in large field as a reward of “Nobunaga’s suppression of Jodo Shinshu Buddhist Uprising prize” from Echizen County’s “Kanamori Nagachika” and the rest was given to “Hara Masashige”. 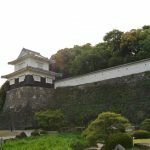 The following year, it was the beginning of the Echizen Ono Castle when Naga Kon was the first Feudal lord of the Inuyama Castle, which was near the Kame Mountain where he noticed it. 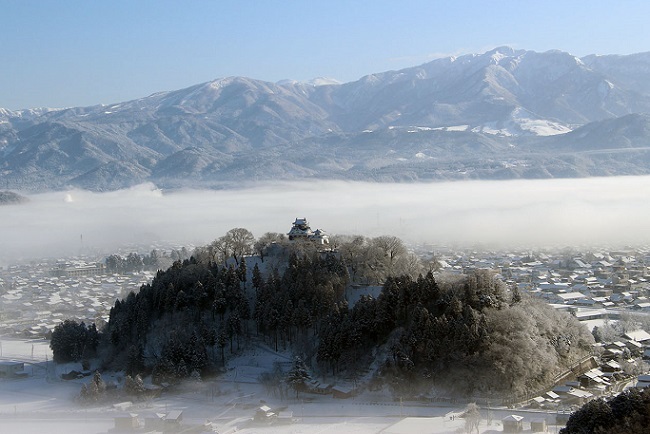 Naga Kon forms a Tanzaku castle town, which is why it is called little Kyoto of Hokuriku region. 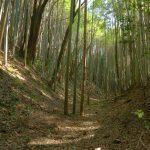 Kanamori will be transferred to Hida Takayama in Tensho 14th year (1586). 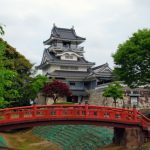 After that, Echizen Matsudaira became a Shogunate control after three generations, and until the establishment of Doi, the castle owner was swiftly changed. 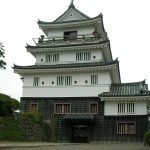 The castle was burned down in Anei Era 4th year (1775), and it was rebuilt except for Castle tower in Kansei 7th year (1795). 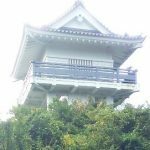 Originally it was a double-tiered guardian tower with a watchtower on the 2nd floor of the Great Tenshi, a small tenant on the 2nd floor, a telescope (Tengu Shoin) called a tengu guardtower was attached to complex castle tower, but it was not rebuilt since it was destroyed in 1795. 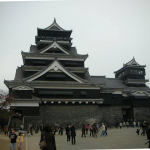 The castle has been destroyed after Meiji Restoration after the end of the Tokugawa period. 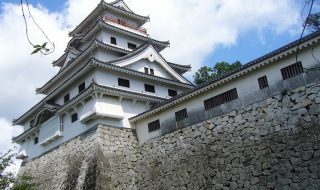 Temporarily built at the summit of the mountain is estimated and reconstructed by the reinforced concrete structure with reference to the historical drawing and the castle tower of another castle at the time of construction, in 1968 (1968) by the donation of Sagaku Hagiwara former samurai. 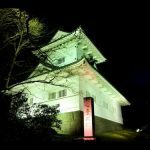 The interior of the reconstructed Castle tower is used as a museum that displays materials on historic castle owners such as Kanamori and Doi. 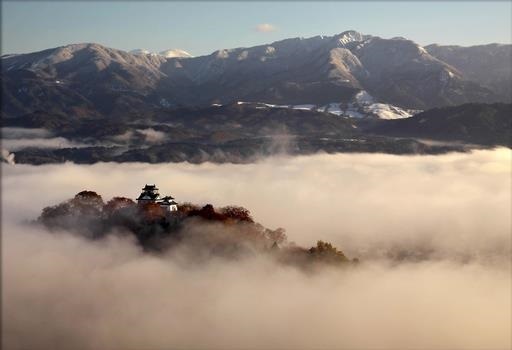 “Laputa’s Assembly” made by volunteers in Ohno city was established to spread the beautiful scenery where Echizen Ono Castle covered with morning fog floating in the center of the large field between mountains of Fukui Prefecture. 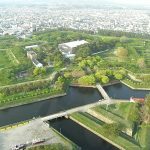 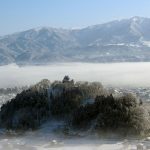 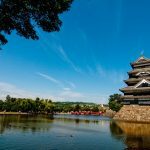 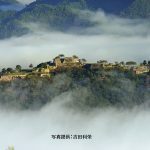 Nnationwide it is now known as the “castle of the sky (Echizen Ono castle)”.